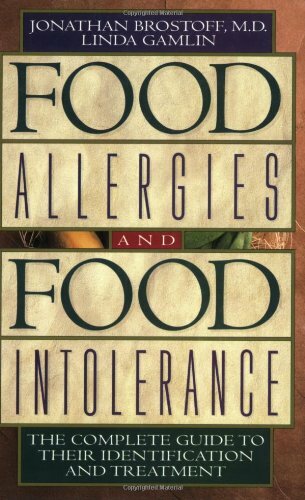 Most people know about common food allergies and intolerances like nuts and shellfish. But did you know that some people have severe reactions to garlic as well? Many call it the "Stinking Rose" with fondness, but for individuals with a garlic intolerance or garlic allergy, garlic just plain stinks! Reactions to garlic can come in varying degrees of intensity, from mild digestive discomfort at ingesting raw garlic to life-threatening allergic reactions from exposure to even small amounts garlic powder. 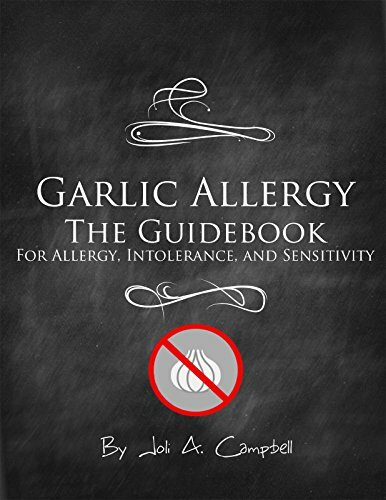 Garlic allergies and intolerance are considered fairly rare, and therefore often met by disbelief and uncaring attitudes by restaurant staffs, friends and family members. Yet it is an absolutely real condition and one which can be very difficult for those affected to control exposure to, given garlic's widespread usage in so many common foods, condiments and sauces. I know because I suffer from a garlic intolerance myself. So I wanted to talk about the issue to help raise awareness and understanding, and hopefully provide helpful information to others who might be suffering from the same condition. Image above courtesy Isabel Eyre on Flickr, licensed under Creative Commons Attribution 2.0 Generic. I am not a doctor and this is not a medical site. Information is provided here for general interest only and with my best efforts for accuracy. Please see your doctor if you believe you suffer from a food allergy or intolerance for an accurate diagnosis! Have You Heard of Garlic Intolerance and Allergy Before? How familiar are you with garlic allergies and intolerances? Unfortunately very familiar - I suffer from a garlic allergy or intolerance myself. I've heard of garlic allergy/intolerance from others who claimed to suffer from it, but didn't believe them. I've never heard of garlic allergy/intolerance before, but I wonder if I might suffer from it. I had no idea someone could be intolerant or allergic to garlic. I love garlic and can't imagine cooking without it! Allergy vs. Intolerance: Which Do You Suffer? It's important to know the difference between a food allergy and a food intolerance. Both can be extremely painful from which to suffer, but their severity and symptoms are different. 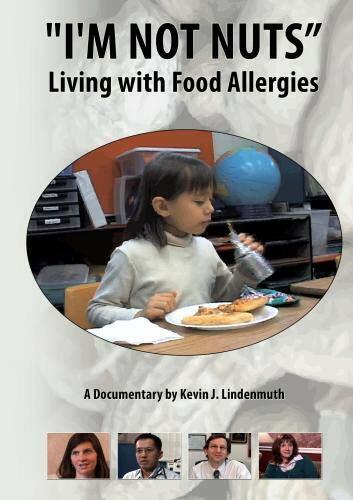 A food allergy is an immune system response. Food allergies manifest when a person's body mistakes a certain food or ingredient as harmful and unleashes antibodies to fight it. Just some of the symptoms of a food allergy can include rashes, hives, swelling, nausea and vomiting, asthma and difficulty breathing, fatigue, muscle and joint pain, and mood swings. A severe allergic reaction can be a life-threatening situation requiring immediate medical attention so complete avoidance of the food that causes the allergy is generally necessary. A food intolerance is a digestive system response. Having a food intolerance means something in the food irritates your digestive tract, or cannot be properly digested by the sufferer due to enzyme or chemical deficits. It is not a potentially life-threatening condition, but can be extremely painful and embarrassing, causing bloating, gas, diarrhea, nausea and vomiting, heartburn, headaches, irritability and other symptoms of discomfort. The severity of these symptoms can depend on the amount of the intolerant food or ingredient consumed, and can pass after an hour or two or cause symptoms that linger for days. 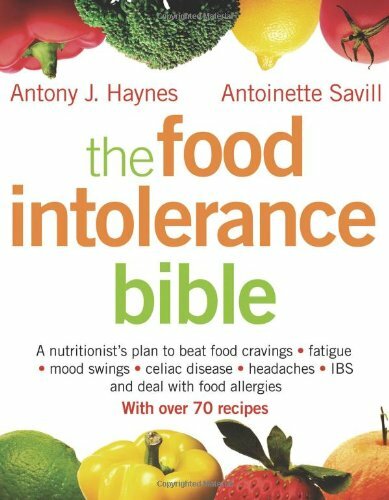 A person with an intolerance may not need to avoid the culprit food completely, but should consume it with extreme caution and care and avoid excessive amounts of it. If you suspect you suffer from a food allergy or intolerance, to garlic or any other substance, you should see your doctor as soon as possible to be tested and receive an official diagnosis. Learn more about food allergies vs. food intolerances at WebMD. 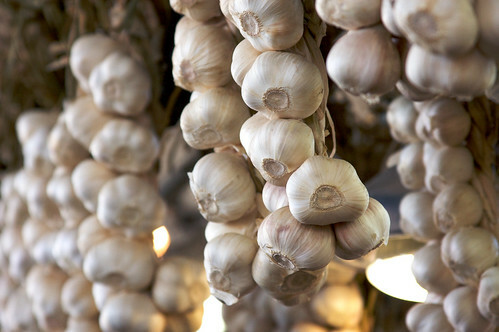 What Causes a Garlic Allergy or Intolerance? Most people have heard about seafood, dairy, nut and citrus allergies before - but garlic? There is often a sense of disbelief, as garlic is often so highly praised for its supposed health-benefits and flavor-enhancing properties. Some people act as if you just don't like getting "garlic breath" - but an intolerance or allergy is a lot more problematic for its sufferers than that. Garlic allergy may be comparatively "rare" but that doesn't mean it isn't very real to those who suffer from it. The culprit behind a garlic reaction is often believed to be or diagnosed as allicin. Allicin is only created when garlic is sliced, chopped or crushed - in its "natural" state, garlic contains the amino acid alliin, which is then transformed by the enzyme allinase into allicin when the cloves are damaged in any way. (See more information at The Chemistry of Allicin.) Allicin is believed to have strong anti-bacterial and anti-fungal properties, hence the frequent praising of garlic's health benefits. Allicin degrades quickly under high heat or cooking, which is why some people with a garlic intolerance (such as myself) can eat well-cooked garlic without difficulty, but never raw garlic or garlic that hasn't been cooked at high enough temperatures long enough to destroy most of the allicin. Another culprit in garlic allergy and intolerance appears to be sulphur. If you suffer from reactions not just to garlic but to all of the onion genus Allium (onions, shallots, leeks, chives, ginger and lilies) then you may be reacting to the sulphurous compounds found in these bulbous plants. Some suffers of this sulphur reaction may find discomfort or have an attack just being in a house, kitchen or restaurant when onion or garlic products are being sliced and cooked, and these oils and compounds are being released into the air. Again, please see your doctor if you suspect you have a garlic or onion allergy/intolerance, so the exact culprit behind your symptoms can be diagnosed. There is quite a bit of difference between sulfa, sulfite, sulfate and sulfer allergies, and if you have a reaction to one such compound you may not be allergic to all. I did not identify that I suffered from a garlic intolerance until I was in my mid-20s. I knew there were certain foods that would nearly always cause me intense indigestion and distress after eating, but I just dismissed that there was any connection between them at all. Besides, as so often seems to be the case, I was drawn to and craved some of the foods that seemed to set off these reactions the worst! Then one night I went to a very nice restaurant in New Orleans that served a whole head of roasted garlic to enjoy with their freshly made bread. I thought it was delicious so probably finished off half of a very large head of garlic on my own. I was already feeling poorly by the time the entrees arrived soon thereafter, and I spent the rest of the night unable to sleep and doubled over sweating, nauseous and in severe agony. I knew it wasn't food poisoning - I'd been through that in the past - but it was a much more intense version of the digestive upset I'd faced from other "garlicy" foods before. I felt sick for several days afterwards. After a few more not-so-severe-yet-painful experiences, I finally put the evidence together: my body didn't like garlic. Or at least, my body didn't like certain kinds of garlic. I rarely had problems with my mother or her mother's cooking, even though they both used garlic albeit judiciously and generally pan-fried or sauteed in oil for long periods of time. But if I ever ate anything with raw garlic, or only lightly cooked garlic? Agony was sure to follow. If I had just a little, I might burp and feel gassy for a few hours, with some bloating and stomach cramping. If I had way too much? I could end up doubled-over in pain, even unable to finish a meal as the attack would hit so suddenly. I would get a headache, severe stomach cramps, gas, the sweats, nausea, and a sensation that my skin was drenched in garlic oil, leeching out from every pore as my body desperately tried to expel it. This reaction could pass in a few hours or at its worse, last for days. I remember one terrible cross-country flight, San Francisco to Philadelphia, where the night before I'd dined at a Middle Eastern restaurant with some friends. I didn't realize at the time that Middle Eastern cooking used so much (raw) garlic. I've barely been able to look at a plate of hummus since then - 6 hours on a plane while having an intolerance attack is a form of torture I never want to repeat. I have also since had it confirmed that a garlic intolerance actually runs on one side of my family - hence its typical light use in cooking in their kitchen. * Most "Italian-American" cuisine. This is a particular rant of mine, because I've never had a garlic reaction in my four trips to Italy (Rome and north). Yet Italian-American food, such as you find at restaurant chains like Olive Garden, Carrabbas or Maggiano's Little Italy, are a minefield of excessive undercooked garlic usage. Proceed with caution when dining at any such establishment if you have a garlic intolerance or allergy. * Obviously, any food item or dish that lists "garlic" prominently in the description! Dishes like "garlic mashed potatoes", "...served with a garlic white wine sauce", "garlic cream sauce", etc. Any time garlic makes an appearance right in a dish's name or description of prominent ingredients, it's a safe bet you won't be safe ordering it! It seems as though garlic is everywhere, but not everyone loves it. 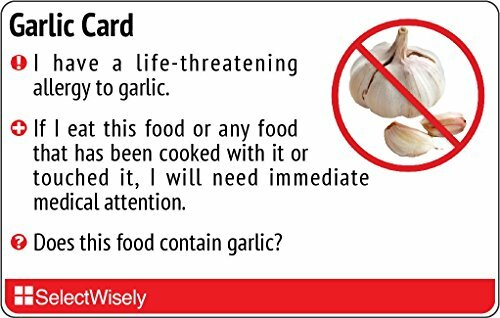 In Rome in 2007, there was a campaign against garlic, to promote more garlic-free cooking and to recommend only those restaurants that banished garlic from their kitchens. Some say excessive use of garlic is a sign of a "lazy chef" who cannot come up with more creative ways to enhance flavors. Or, even worse, excessive garlic may be used in some kitchens to "cover up" for fish and other ingredients that are not-so-fresh. But what do you think? Is Garlic Over-Used in Cooking Today? 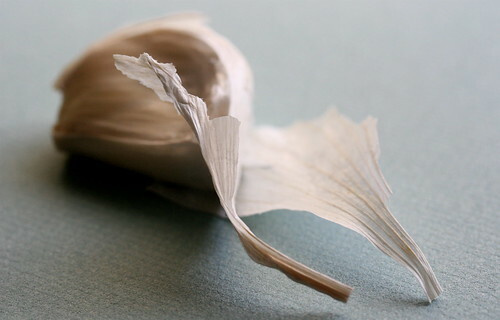 Do You Think Modern Chefs Have Become Over-Reliant on Garlic? Absolutely. I hate garlic and never like the taste of it. Yes. I think garlic in moderation is fine and useful, but it is often over-used and abused in today's cooking. No. I love garlic, and the more garlic in a recipe, the better! These are some things I've learned from coping with my own garlic intolerance, and reading more about the difficulties faced by those with a full-blown garlic reaction. 1. Dining out? Ask questions. Don't be ashamed. Your garlic allergy or intolerance is a real medical condition. Food allergies can lead to life-threatening situations if a restaurant staff does not take your condition seriously! You may wish to call a restaurant before making a reservation or planning a meal there, to ask about the chef's use of garlic. Find out if they will be able to accommodate you with a garlic free or at least raw garlic-free meal depending on your needs. It can just be helpful to know what kind of options you may have available without worry. Or, once at the restaurant, ask questions of your server. Does their house salad dressing contain raw garlic? Could you get regular mashed potatoes instead of garlic mashed potatoes (or some other side-dish substitute?) Is there garlic in their bread dipping sauce, and if so could you get some plain butter or olive oil instead? Don't be ashamed of or afraid to ask for information. If you can't be accommodated or the server just says "I don't know" without asking the chef, eat elsewhere. 2. 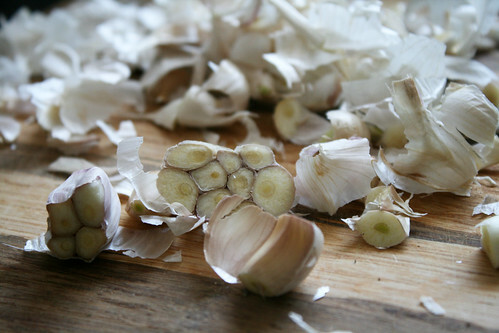 Look to cuisines that don't excessively use garlic in their cooking. Japanese food, for instance, is one cuisine which seems to be very safe for those with garlic problems - I cannot say I've ever seen it on an ingredient list or had a garlic reaction from Japanese food. 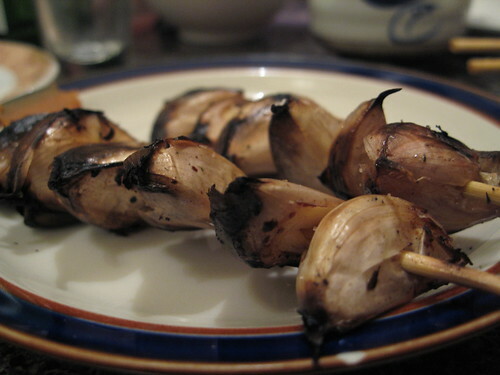 Use of garlic is not as prevalent in the cuisines of Northern Europe, including Germany and Scandinavia. Authentic Northern Italian food (and restaurants) take a much lighter approach to garlic usage than their Southern "Red gravy" counterparts. In contrast I've found Middle Eastern food often sets off my garlic intolerance as can Korean, as much as I enjoy both cuisines. Indian food may also be a surprisingly good choice, as there are specific Indian cuisines and cultures which avoid the use of onion and garlic completely. If you have a severe garlic allergy, you'll have to be very careful with pre-prepared foods, as garlic may simply be one of the many unnamed "spices" on a label. Garlic powder is very problematic to many people with a garlic allergy and you'll sadly find garlic is in nearly every kind of prepackaged seasoning or condiment, from ketchup to salad dressings to pasta sauces to canned soups and frozen dinners. You may do best shopping in specialty markets and looking for products designed to be allergin-conscious - or, realize that you may have to do more cooking from scratch to avoid that nasty garlic in everything! 4. 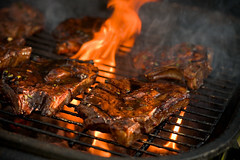 Grilled fish and meat is typically a safe bet. When in doubt at a restaurant, you usually can't go too badly wrong with a nice grilled steak, or grilled/steamed/pan-fried fish. Just do find out if the meat is marinated first (garlic is often used there) and ask for any sauces to be served on the side or left off completely. Who needs more than salt, pepper and a little butter on a good steak, anyway? 5. If you can tolerate garlic in some forms, adjust how you cook with it. 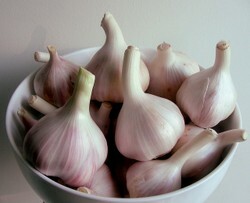 If you're not allergic but just intolerant to raw garlic, try modifying recipes to suit your need. 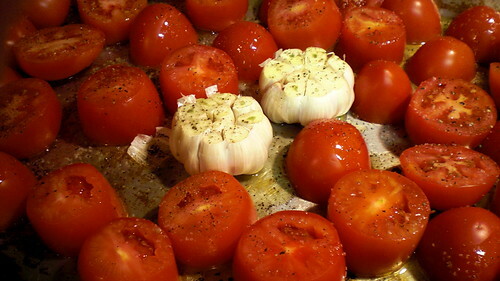 Instead of adding raw garlic to dips and condiments, saute your garlic in olive oil first until well-browned. Instead of adding finely chopped garlic to a marinade or sauce, just crush the cloves to release their oils - and that way you can later pick out the cloves and avoid consuming them whole. Or use garlic in a traditionally Northern Italian way when pan-frying or making sauces: warm crushed cloves in your olive oil on the stove, but immediately remove them from the pan once turning brown or after a minute or two at high heat. This way the garlic lightly flavors your cooking oil without dominating the dish. I've found these tricks typically help me safely consume garlic without suffering indigestion or pain afterward. 6. Always be cautious if you are allergic, no matter how much you've been reassured a dish is "safe". Many people just don't understand how serious a food allergy can be. They'll think if they just remove the garlic cloves or scrape them off a dish, you'll be fine if you "don't see the garlic there." They'll not realize that garlic is already in an ingredient in the pre-prepared seasonings and sauces they're using in their recipes. Cross-contamination can be a problem as well for the highly sensitive, such as using the same serving utensils in plating "garlic-free" and "garlic-laden" dishes. Dining is easy for the garlic-allergic and intolerant at these restaurants! As awareness begins to grow about the real issue of garlic allergy and garlic intolerance, restaurants are beginning to catch on. Several chains are now offering garlic-free menus along with their other restricted-diet options. These are the restaurants I've found in my searches that offer these menus, so they are worth spotlighting for their sensitivity to this condition! This regional chain in the Delaware/PA area offers a garlic-free menu. Traveling to a foreign country? Facebook group for those affected by garlic intolerance and allergy. Garlic allergy page on wikipedia. Tips on leaving the onion and garlic out of your recipes. Episode of Emeril Green featuring garlic-free cooking. Webpage includes links to featured recipes. 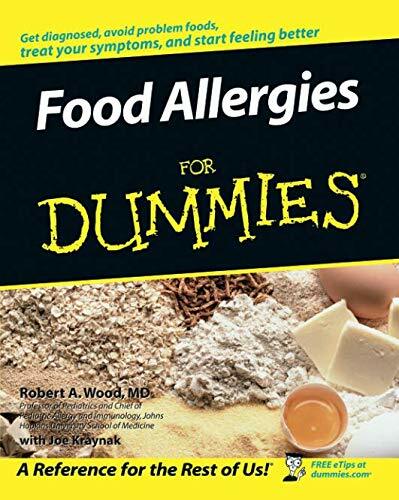 A useful page from Food Allergy Survivors Together, completely with some handy garlic-free recipes. 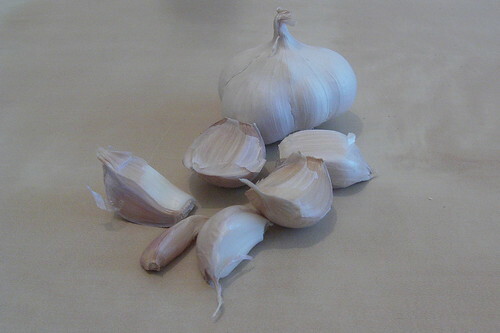 Thanks for visiting this page on garlic intolerance and allergy. If you have any experiences to share on coping with an unusual food intolerance, please share them here - or any other comments you'd like to add. I agree with Sockii ; it does have health properties. But I get quite unwell when I eat it, my stomach churns and I am awake in the night. I can gain health benefits from other tings than garlic. While garlic dos have many healthy properties, for those with an allergy or intolerance then those benefits aren't worth the discomfort and illness garlic can cause. I have never heard of this before. I thought garlic to be healthy, and in this area it is used in many dishes. I cannot imagine not including it, but for those with problems it is a necessity. I am garlic intolerant. I don't cook with it but everyone else seems to unfortunately. a very useful post . ty for posting . Could diet soda actually be making you gain weight? Before you grab another can of "zero calorie" soda, consider the conflicting evidence and potential hazards.